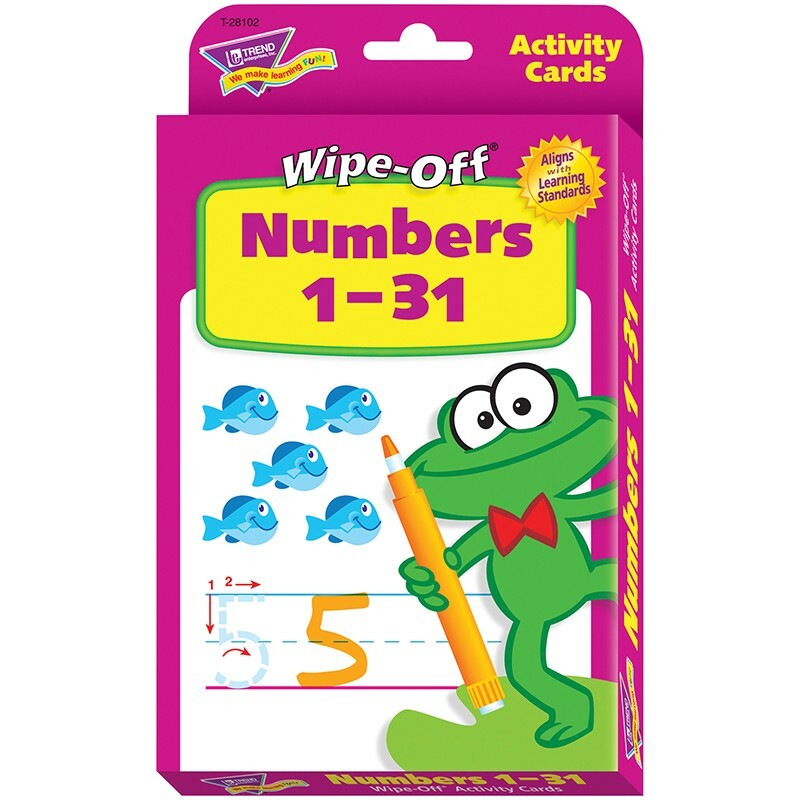 Reusable, two-sided cards with activities to reinforce number recognition, printing, numerical order, and counting objects. Aligns with learning standards. 4" x 6" cards; color on both sides. 32 per pack.